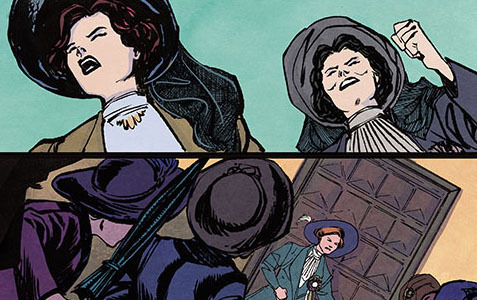 Suffragette is literally the first feature film to offer a dramatic representation of the radical women’s suffrage movement in England. 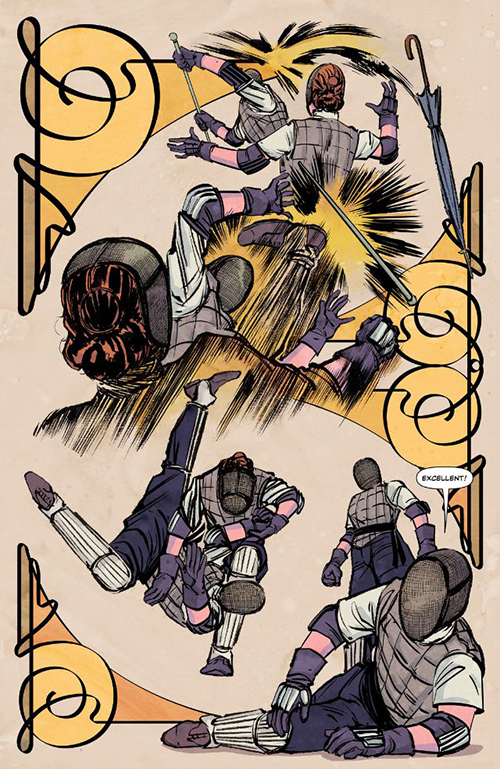 As the movie has already been extensively reviewed elsewhere, and because this is Suffrajitsu.com, this review will concentrate on those areas where the plot intersects with motifs and events also represented in the Suffrajitsu graphic novel trilogy. 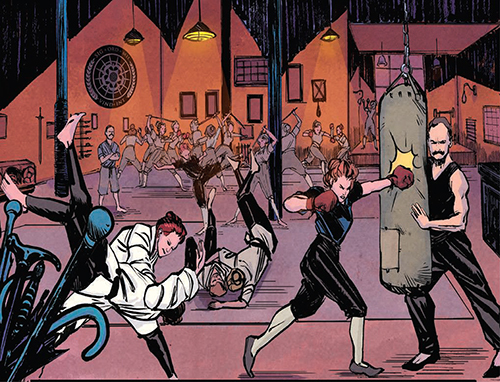 Most especially, we’ll focus on the events of Suffrajitsu Issue #1, which is closely based on the real history of the Bodyguard team who were assigned to protect members of the Women’s Social and Political Union from arrest and assault. Before diving in to the review, however, we should address the “whitewashing” controversy that has arisen in the wake of the film’s opening, especially in the USA. 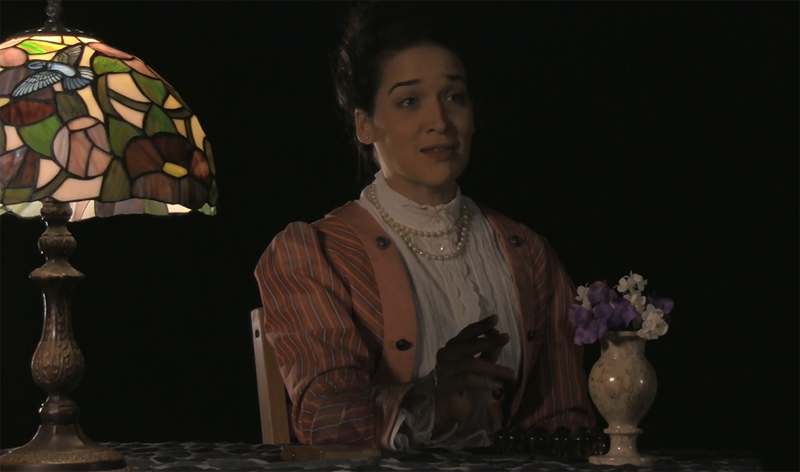 Some critics have conflated the demographics of the American and English suffrage movements and thereby jumped to the conclusion that the Suffragette filmmakers are guilty of having misrepresented racial diversity. In reality, according to the very best historical records available, only two women of color are known to have been counted among the English suffragettes. One was a famous Sikh princess named Sophia Duleep Singh, who was a god-daughter of Queen Victoria’s and who is to be the subject of an upcoming filmed biography; the other was a friend of Singh’s who was more peripherally involved in the radical movement. 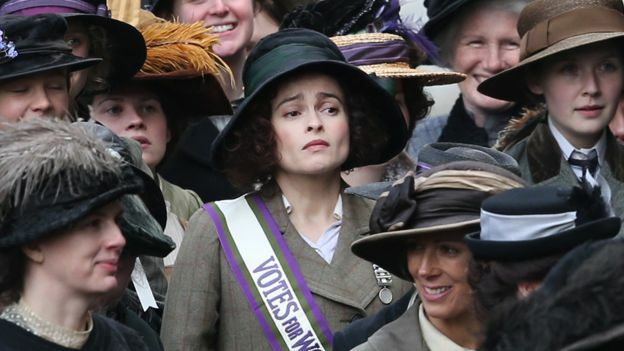 It’s possible that, given the degree to which the “whitewashing” controversy has hijacked popular and critical discourse concerning Suffragette, writer Abi Morgan and director Sarah Gavron are now regretting not having included Princess Sophia in their story. 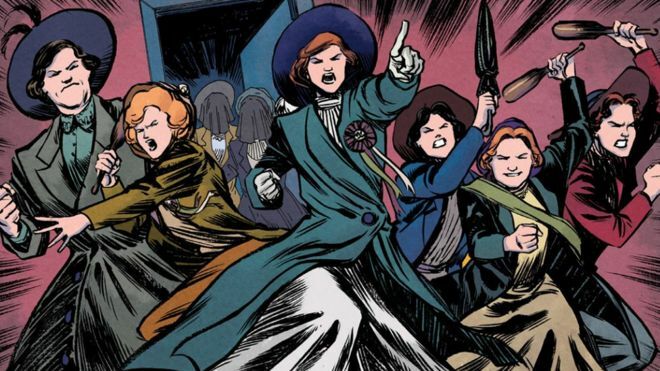 However, it is irresponsible for critics to casually assume that there “must have been” a large contingent of women of color who were callously not represented in the film. 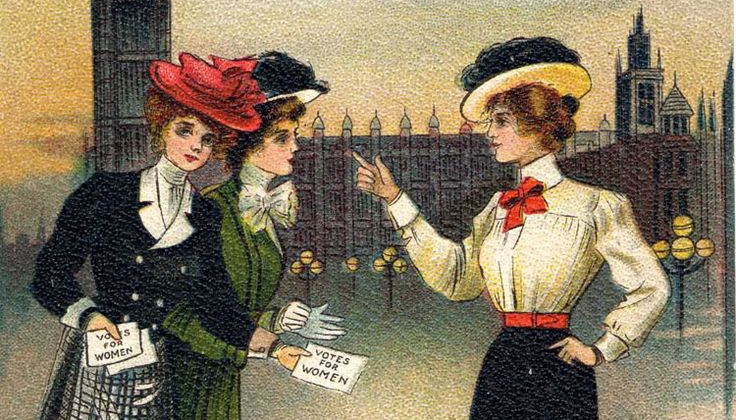 There was, in fact, great diversity within the English women’s suffrage movement, but it was a diversity of social classes at a time when London was racially homogeneous to a degree that would deeply startle people who only know the modern city. That noted, the film introduces protagonist Maud Watts (Carey Mulligan), a 24 year old East End laundress whose only joy in life is her family – husband Sonny (Ben Whishaw) and young son George (Adam Michael Dodd). Maud was born in the laundry; her mother died there when Maud was a young girl, the victim of an industrial accident, and Maud herself now bears the scars of a lifetime’s labor in that dangerous environment. Reluctantly at first, the previously apolitical Maud finds herself drawing closer to the radical movement. After Maud is induced to give her testimony before a committee of politicians who are considering the suffrage question, she and her new comrades then gather outside Parliament and are bitterly disappointed to learn that women will not be granted the vote. 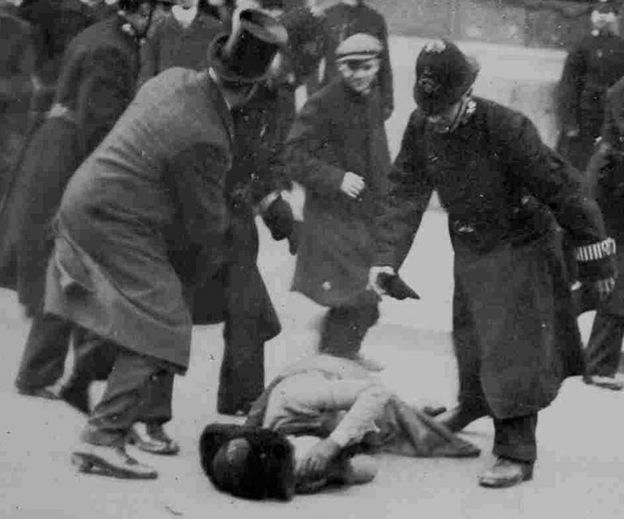 The police then violently disperse the suffragette crowd, striking women down with their truncheons and dragging them off to prison. 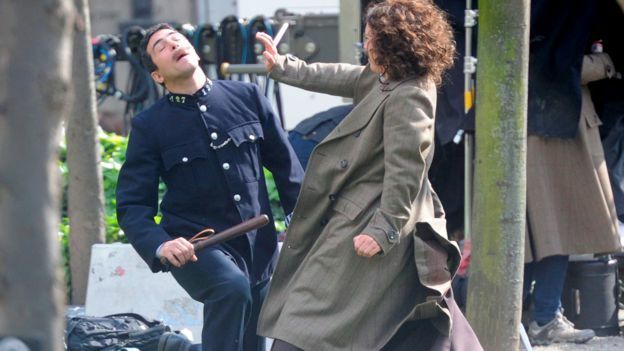 The level of violence depicted is on the very extreme end of the scale of reported police action against suffragette protesters. 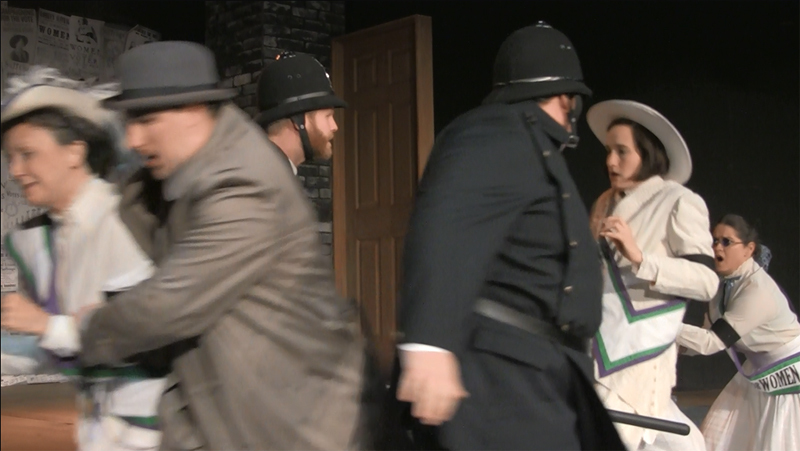 The impression given is that the police assault was virtually unprovoked; this scene may have been inspired by the infamous “Black Friday” riot of 1910. 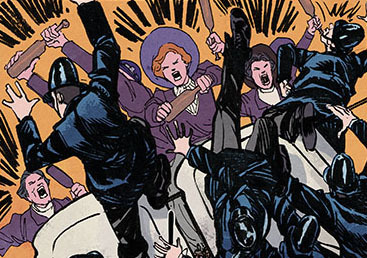 That said, the riot scene also tends to reinforce the modern misconception that women were arrested simply for being suffragettes, which was not the case. 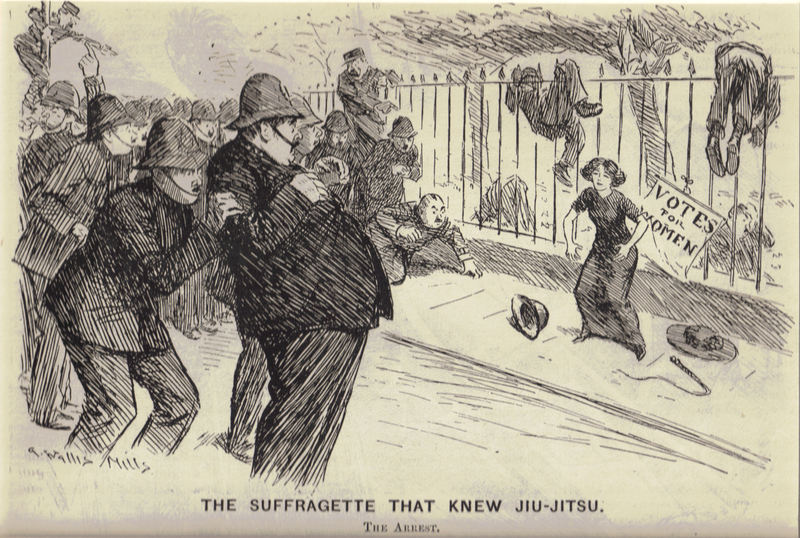 Militant suffragettes were, in fact, arrested because they had committed crimes, ranging from vandalism and assault to sedition. 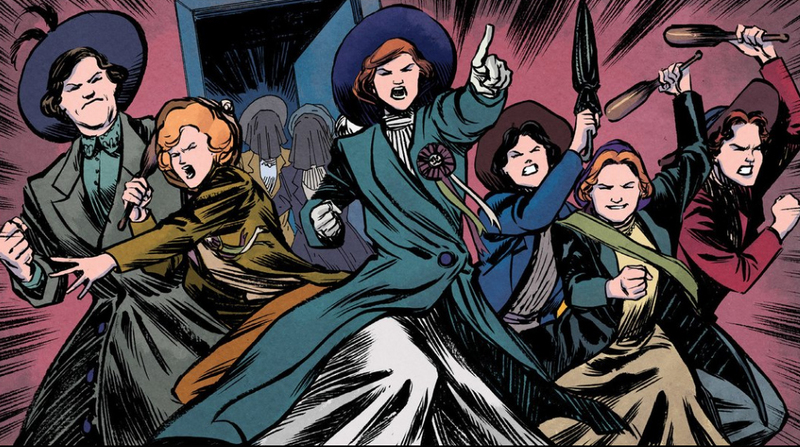 In response to the politicians’ latest failure to grant suffrage, Maud and her comrades, including the militant suffragette insurgent Edith Ellyn (Helena Bonham Carter), become more committed and more organized. The point is effectively made that, since forty years of peaceful petitioning has failed to gain women the right to vote, radical tactics will now be required. Meanwhile, police Inspector Arthur Steed (Brendan Gleeson) assumes responsibility for monitoring and attempting to contain the women’s rights movement. 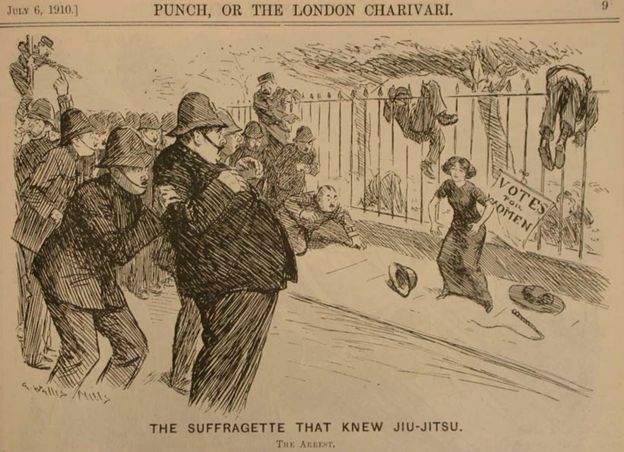 In a very brief training scene, Maud is shown taking part in Mrs. Ellyn’s jiujitsu class; a reference to the “Suffragette Self Defence” courses actually run by Edith Garrud during this period. 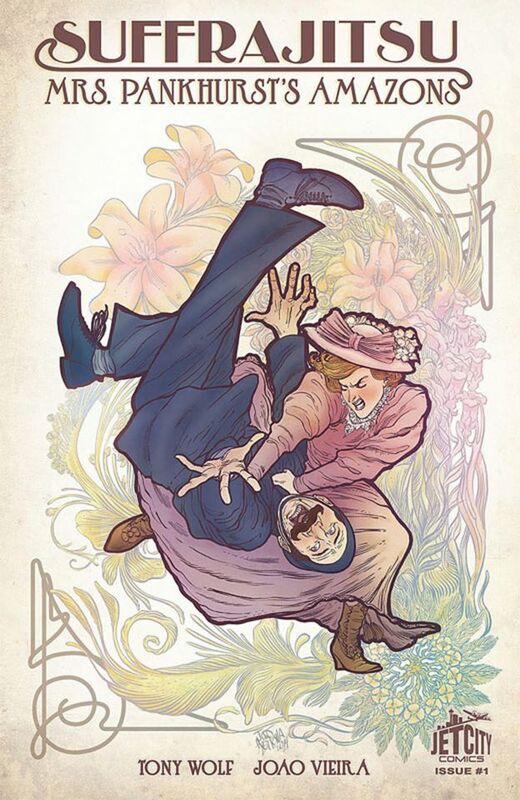 Helena Bonham Carter has confirmed that her character was partly inspired by Edith Garrud and that more extensive jiujitsu scenes were shot, but did not make it into the final cut of the movie. 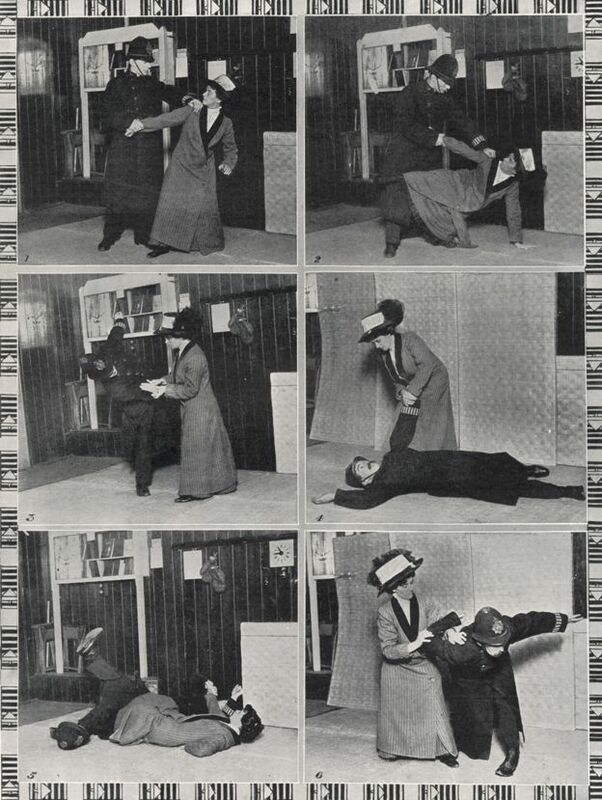 Gratifyingly, Maud and Edith are among a small party who form an informal bodyguard for Mrs. Pankhurst as she escapes, successfully running interference against the police. 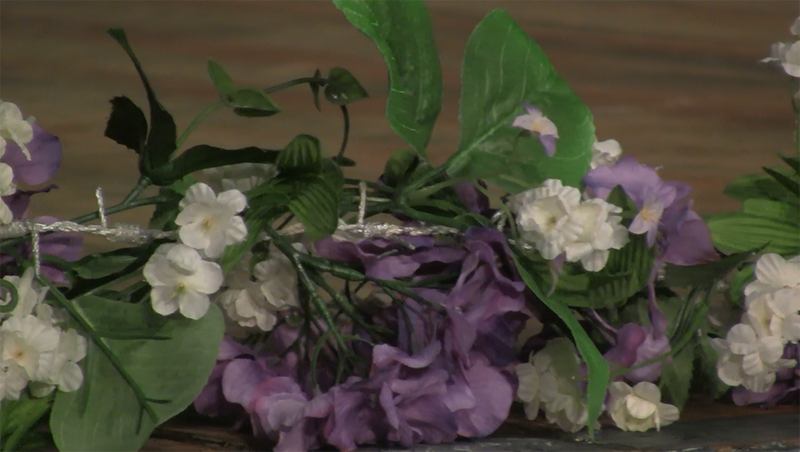 The women also engage in a campaign of bombing attacks – strictly against property, rather than risking human lives. They target post boxes to disrupt the communication system, and escalate to destroying the under-construction home of a Member of Parliament. This action, however, results in the two of them being imprisoned again, and this time they go on hunger strike and are subjected to forced feeding – events that, in real history, directly led to the formation of the WSPU Bodyguard team. The tactic of hunger striking was extremely controversial. Prisons were considered to have an ethical duty of care towards preserving the lives of inmates, so they had no choice but to force feed those who starved themselves. 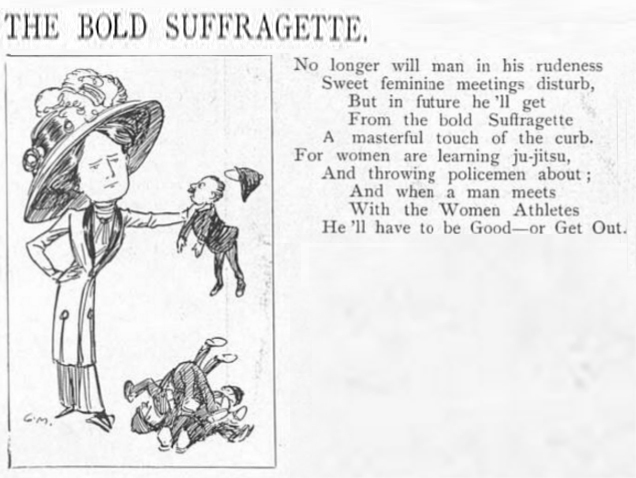 Politicians recognized that, if an imprisoned suffragette died, the women’s suffrage movement would gain its first martyr; the WSPU, meanwhile, successfully represented forced feeding as being akin to torture. Thus, both sides became engaged in a dangerous propaganda battle for the hearts and minds of the British public. 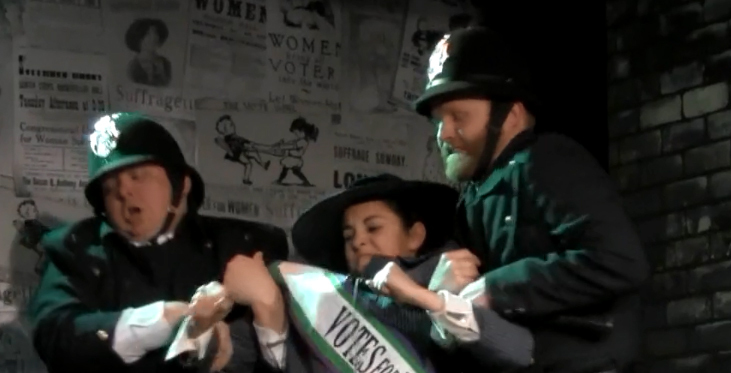 Although not portrayed in the movie, this high-stakes situation led to the institution of the so-called Cat and Mouse Act; an unprecedented amendment to the law that allowed prisons to release hunger striking suffragettes until they had recovered their health and strength, at which point they would be re-arrested and re-imprisoned on the original charge. 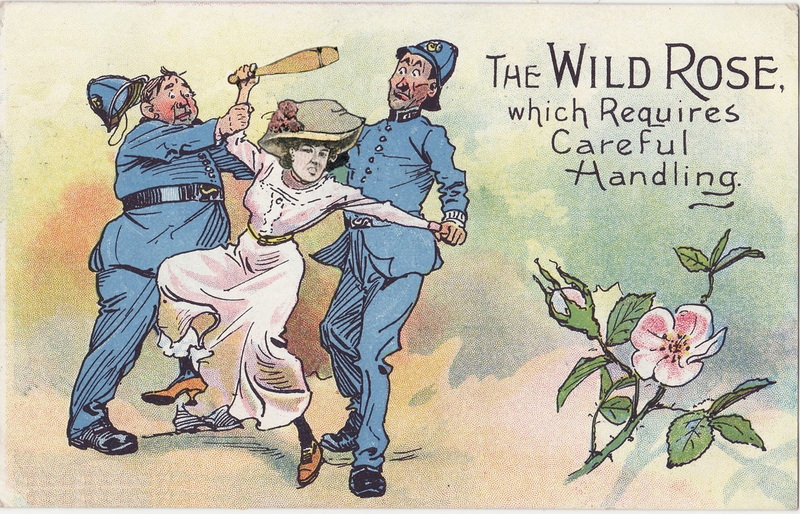 That policy led the WSPU to create the Bodyguard society, in order to keep fugitive suffragettes free for as long as possible. 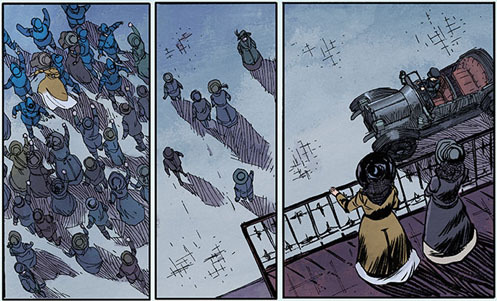 Maud’s increasing radicalism comes at a very heavy personal cost. Her husband uneasily tolerates her political action at first, but succumbs to shame when she is imprisoned and effectively bans her from their home, also cutting off her access from their son. Eventually, in one heart-wrenching scene, Maud learns that Sonny has arranged for young George to be adopted by another couple; she has no say in the matter, underscoring the very inequalities that she has been fighting to change. 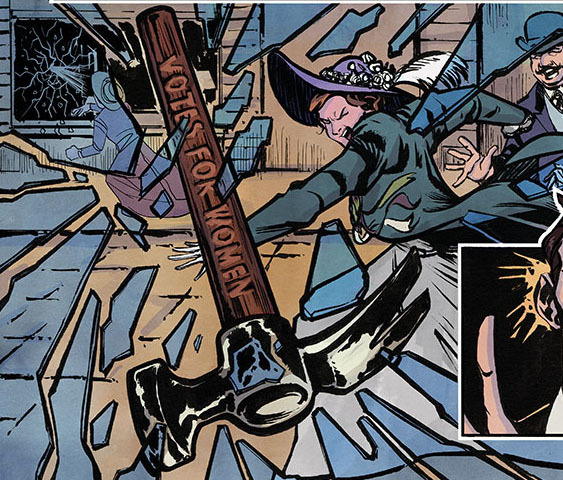 As a result, Maud becomes even more committed to the radical cause. It’s worth mentioning here that, to the filmmakers’ credit, neither Sonny nor Inspector Steed are portrayed as villains (though Maud’s laundry boss represents the worst of bullying, predatory male chauvinism). Sonny is basically a pitiable character, a naive young man whose simple inability to understand how or why his wife is changing dooms their family to tragedy, whereas the more sophisticated Steed clearly has some sympathy with, and even admiration for Maud’s convictions. Edith Ellyn’s husband, meanwhile, is a staunch “suffragent”, a progressive man who supports his wife and her political cause. In the climactic scene, suffragette Emily Wilding Davison is struck down by a charging horse while attempting to protest “in front of the world’s cameras” at the Epsom Derby. 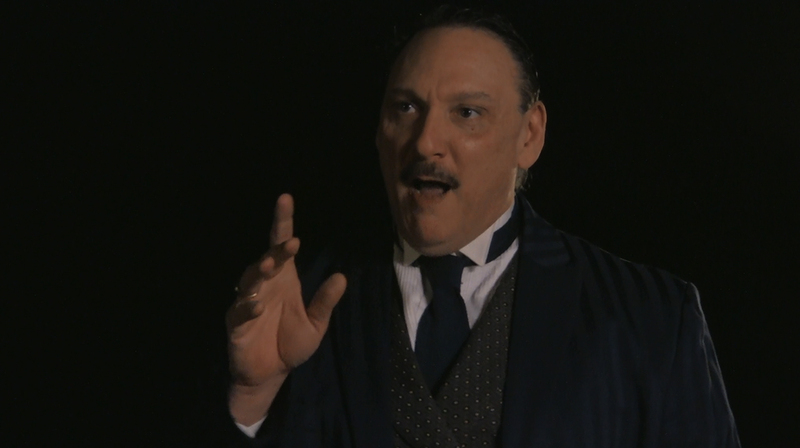 At the time, Davison’s action was attributed to “hysteria” and it is still frequently popularly recalled as an act of deliberate self-sacrifice. 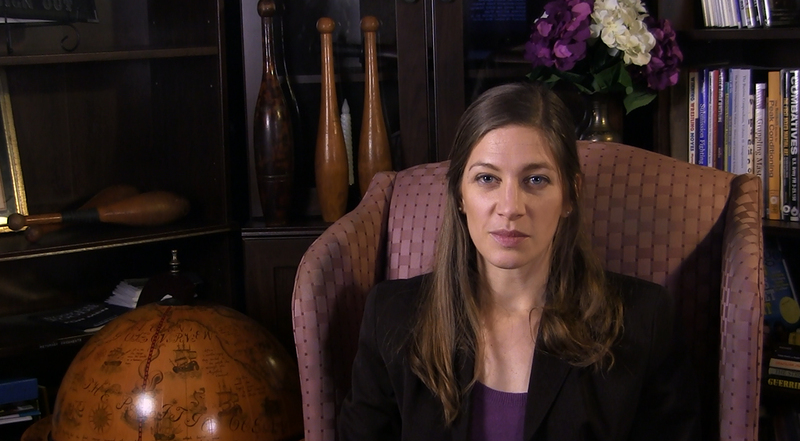 The filmmakers, however, successfully represent her death as having been, essentially, a tragic accident, which matches the prevailing scholarly opinion. 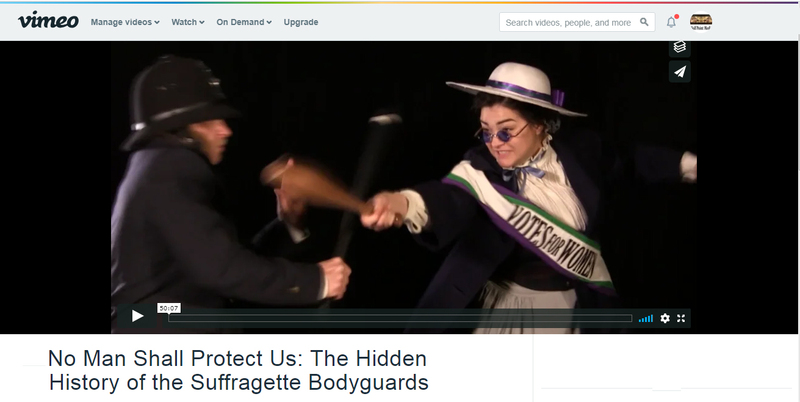 Thus, Emily Davison became the WSPU’s first martyr, and as Maud Watts joins the massive funeral procession through the streets of London, the film segues into archival footage of the actual event. 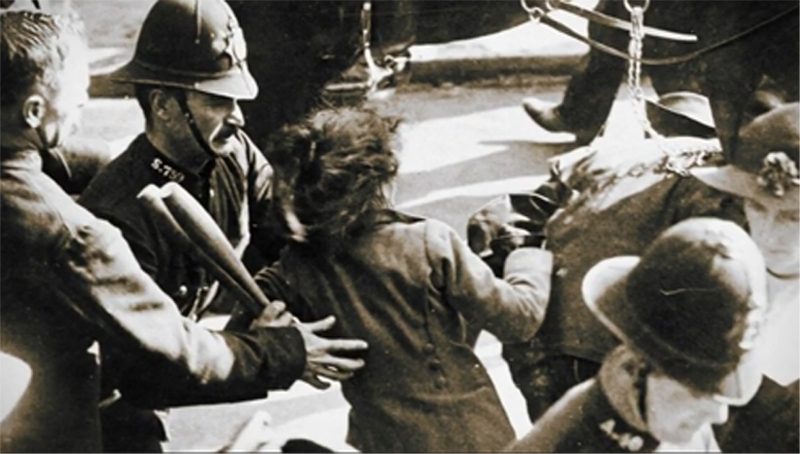 A caption notes that newsreel film of Davison’s death propelled the English suffragettes’ struggle onto the international stage and, as the credits roll, a list of dates also appear on screen, recording when various countries finally did grant women’s suffrage (albeit strictly limited, in some cases). 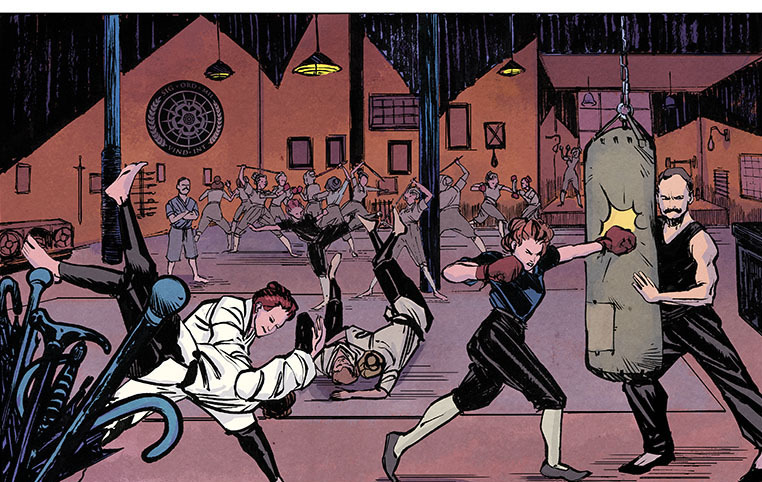 In sum, we unreservedly recommend the film to fans of the graphic novel. The cast is uniformly excellent and the evocation of London circa 1912/13 is beautifully executed. 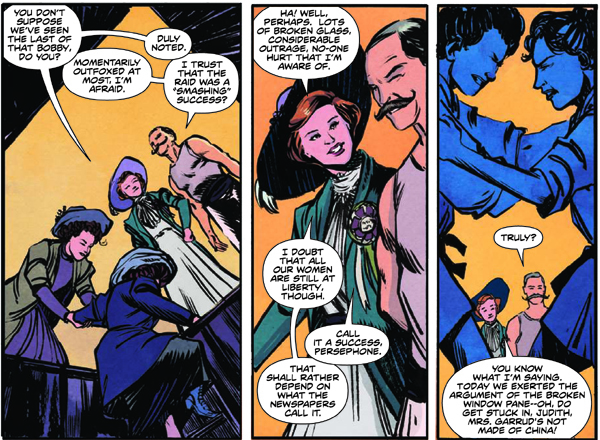 To some extent, in fact, the events of Suffragette can be viewed as an immediate prequel to those of the Suffrajitsu trilogy; it’s very easy to imagine Maud Watts as one of Mrs. Pankhurst’s Amazons.